A conversation between two architecture school graduates with similar approaches to work + life who followed two very different paths. This video is an excerpt from my conversation with Trent Bell an award-winning architectural photographer (Trent Bell Photography) as we chat in my studio. You'll also join us behind the scenes as he photographs one of my residential projects. For the full interview be sure to check out Trent’s Architecture, Design & Photography podcast, (video here) a project he’s launched in cooperation with Maine Home + Design magazine. See all the photos we captured that day here. Sharing a side project of mine and a holiday tradition I have in the studio. Side projects - for me - are a reminder that my entire creative life isn’t wrapped up in a singular project, rather who I become as a designer, as a person, is the result of a long winding path as I travel from one idea to the next. I’ve found it liberating to slip between definitions of what I am professionally. I’m an architect, yes, but I’m also a typographer and a filmmaker, a paper cutter, a UX designer, a writer and a photographer. And this is why I love side projects so much, they allow me to be any or all of these things. There’s no pressure to perform or even to share the results, the lessons can be all mine. As the creative director, I set the constraints, the budget, and the schedule. Your side project may be as simple as making a holiday card or it could be as life-changing as my YouTube channel has been for me. That too started as a side project. Side projects add dimension to your creative life and at some point you may discover that your side project has transformed into your main project. This jockeying for attention amongst opportunities means you’re always left with fulfilling, interesting, engaging projects to take on each week. Letterpress machine (the original machine you see in the video is no longer available, the link brings you to the cassette which I really like and would work with many machines available on the market today. *Links are affiliate links and cost you no more, but send a small commission my way which supports the creation of videos like this one. Thank you! Cheers my friends…wishing you happy holidays and a prosperous 2019…! My travel kit is as lean as it’s ever been, just a sketchbook, a few drawing tools, my camera gear (more details here) and a small laptop. You don’t need an expensive camera or special tools though to do what I do. The DSLR is an intentional choice for me as it forces me to slow down when I'm traveling. It makes me think about lens selection and composition, the subject, the lighting. It’s probably the single best investment I’ve made in the past 10 years (aside from travel). **MY UPDATED DAILY CARRY CAN ALWAYS BE FOUND HERE. For lenses on this trip I brought a wide zoom, a medium zoom, a telephoto and a macro. And this was way too many. Lenses are heavy and to lug these things around in a backpack in the tropics is…well, sweaty. Of the four I brought along, I used the 24-70mm and the 100mm most of the time. The zoom is great because the 24mm end on a full frame camera is wide enough to capture landscapes or interiors and the 70mm is perfect for details. Then you have the right around 50mm is great for portraits. So this one lens covers a lot of situations. You'll learn why I reject guidebooks in general, my process for observing, documenting and then cataloguing my travels and you'll see what I do in the downtime between destinations. 0:22 Start Now. Don’t wait until you arrive at your destination to start taking photos or sketching. 1:55 Subjects. Not everything has to be architectural. 2:53 Details + Materials = Experience. Learn to observe the world this way. 4:55 Has this ever happened to you? Relaxing on the beach and out of nowhere…!? SIDE NOTE: The Williamsburg Hotel (at 3:16) in Brooklyn, NY was designed by the London Architecture Firm: Michaelis Boyd and completed in 2017. We actually had no plans to stay here, but we arrived in NYC to an early season snowstorm and our connecting flight back to Maine was canceled. Our flight the following day wasn’t due to leave until 10pm, so at my better half’s urging, we traveled from JFK airport to Williamsburg in Brooklyn and spent the next 24 hours exploring the neighborhood and staying in this fantastic hotel. Completely worth the little bit of extra effort to get there from JFK. In this new series, I’m visiting architects and design professionals asking them to share the choices, challenges, failures, successes and failures that have shaped their careers. Too often we hear from only those architects elevated by the media to superstar status. These so-called 'starchitects' account for a small percentage of design professionals. And, the stories from the bulk of our ranks - a great many talented architects and designers – remain untold. This series gives voice to their stories. We uncover early inspirations that led them to choose architecture, experiences in architecture school, internships, what firm typologies to look for, advice for taking the Architectural Registration Exams (ARE), how to find work and clients, working for and with others, networking and struggles building a business. In the inaugural video of the series we meet John Clappi, a licensed architect living and working in Brooklyn, New York. He has more than 20 years’ experience practicing architecture in both Boston and New York City at a variety of scales from large developments to award winning Record Houses and private residences. He’s worked for two starchitects: Richard Meier of Richard Meier and Partners and Brad Cloepfil at Allied Works, both high-end, boutique design firms. In part 1 he recounts the school years and his early career pivot points as well as his experience working for Meier and Allied Works and time working on large scale developer projects in New York City. In part 2, we’ll discover why he set out on his own, how he secured his first commissions and the challenges he’s facing as he builds out a larger vision for his nascent architecture studio: Eponymous Architecture, PLLC. 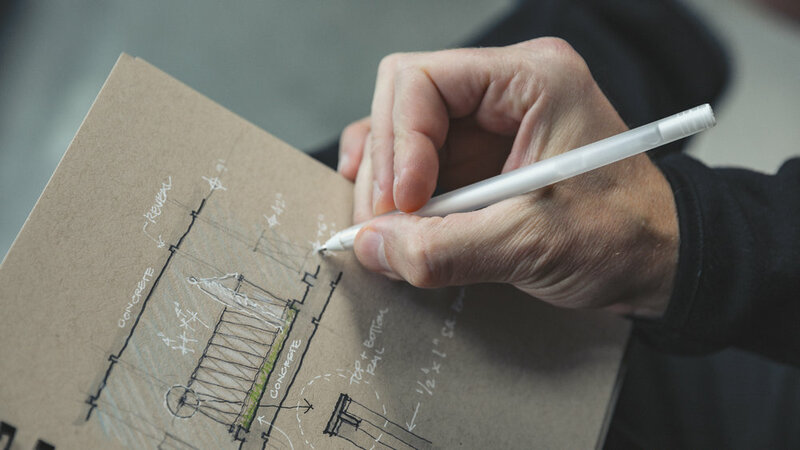 It’s a rare and candid look into the struggles designers and architects face as we seek to become licensed professionals and to find a life of true, creative fulfillment. Taking a moment as I received a special package from YouTube on the studio's doorstep to reflect on an important milestone. YouTube recognizes creators at a few waypoints, the first being when you cross 100K subscribers, then 1M, and then 10M. Earlier in 2018, I crossed the first of those and this video is my thank you note. Ironically, the week I received the award the channel was passing 186K subscribers. I'm so humbled by the support and kindness you've shown as I've worked over the past five years to make better things, more interesting content, and exponentially increase the number of people I'm able to reach + connect with. I never thought I’d get this award, it’s certainly not something I set out to achieve. To think that 100,000 people thought enough about what I had to say to subscribe is just a completely silly notion (especially when I look back at some of the things I’ve made in the past). In the beginning, I focused on sharing knowledge and documenting what I was creating. As time went on, I started to have higher expectations of my work; I became interested in filmmaking, composition, color grading, audio, and storytelling. I think I make a lot better things than I used to, but I'm nowhere near as good as my heroes or as I want to be. And, I know when I look back on this in another year’s time I’ll see what I made today wasn’t that great either. However, without a body of work to look back on, I’d have no context to see the journey. It's important to remember that we can’t possibly make our best work the first time we publish something, it takes practice, discipline and the knowledge that most of what we make won’t live up to our own high standards. In time we get better. This was the 196th video uploaded to YouTube for me; that's a lot of practice! I hope this inspires you to take action and to make things. See my path and take comfort in the fact that I just pressed 'publish' - even when I wasn't capable of executing at my own high standards. Pressing publish is the only way to improve. There are no more gatekeepers, if you have access to the internet and a smartphone you too can speak to millions of people if you choose. Thank you, thank you, thank you, for allowing this kind of life to be possible and for being such an important part of my story on YouTube. I used to thumb my nose at conferences, but this year something changed. I decided the island I've been living on felt a little too isolating; a little too small. And so, I thought brushing up against 26,000 other architects might be a good excuse to get out of my own head and see what everyone else in this profession was up to. I secured a press pass to attend the 2018 AIA (American Institute of Architects) national convention in New York City and I came away surprised by just how much I enjoyed it. If you're an introvert - like me - it’s easy to avoid large groups of people, but even introverts need to network with others and to hear new ideas. I've learned time and again that whenever I'm able to step outside my comfort zone, great things happen and this experience didn't disappoint. I met viewers of this channel, students, interns, and architects from all around the world of all ages. +Chance to meet & collaborate with IRL an amazing friend and mentor from down under. Stick around to the end for details on how you can help shape the future of this channel and a chance at one of five, one-on-one chats with me, here's the link. In this installment of the vlog, look through a drawing set for a project under construction and learn how I approach and draw architectural details. I discuss one of the most common struggles of working alone, what happens when a project is delayed, how to create a balanced practice, and I share my thoughts on the innovative business plan presentations I reviewed as a juror for the architecture business plan competition. Don't miss the view from my mid-day hike (!) and what I learned on the podcast I was listening to. As architects, our job is to uncover what’s hidden...in a place, in our clients, in the materials we use. We're taught to make our discoveries visible and tangible. We're taught to give the silent a voice. To do this, we explore, analyze, consider, dissect, unearth and seek to understand the meaning of things which are often hiding in plain view. Finding a muse is one of the best tools I've discovered to teach the depth of research and skill required to become a more thoughtful designer. A muse will teach you how to truly see like an architect. 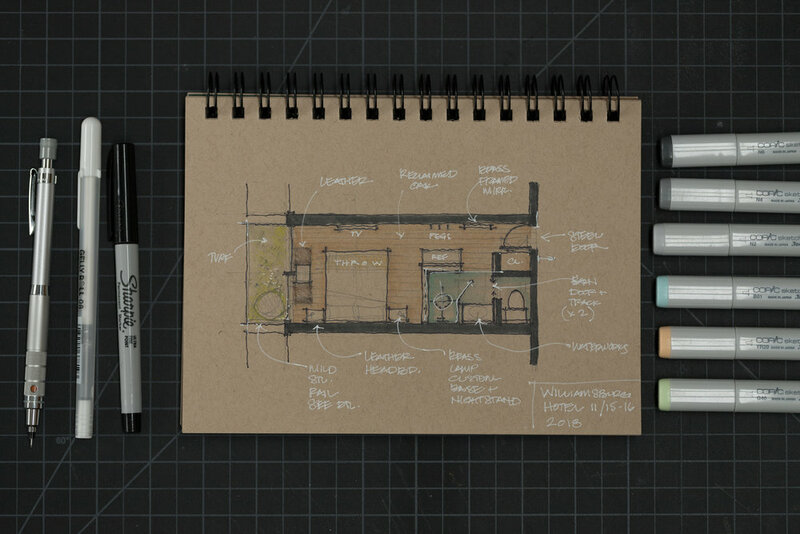 Follow a typical day in the life of an architect. Part architecture vlog, part behind-the-scenes look at some of the tasks architects work on each day: from designing a set of elevations to managing projects in construction, to writing specifications, to managing an office, and how to deal with the inevitable creative blocks creatives face on a daily basis. I intentionally structure my day to be divided between making in the morning and managing in the afternoons, with a mid-day transition break for exercise. Learn why this works for me and follow along as I work through some of the most common struggles an architect faces in daily professional practice. For aspiring architects, architecture students, and those curious about exactly what it is that architects do each day. A review of one of my all-time favorite books; one I think every designer should own. Part review and part personal reflection, it's a continuation of my previous video on goal setting. As I struggled with my traditional goal setting exercise this year, I stumbled on a new methodology and consulted a formative book in my library for guidance. In this video I share how that book has shaped my architecture practice and my approach to life. I view books as the raw materials of creativity. Looking at and learning from the work of others is crucial to the development of your personal style and sampling from every possible source you can: graphic designers, authors, engineers, sculptors, every field is essential. The deeper your understanding of what’s out there the more source material you have to draw upon and the more things you can smash together to craft your own style. Study those you admire, not to replicate their style (you don’t want to look like them) but to see like them. A special thanks to my grandfather, whose counsel I miss each day, but who will always live on in my studio and work. A short musing on simplicity; illustrated with residential architecture. Simplicity builds no more than necessary. Simplicity makes room for living rather than things. Simplicity is rational. Simplicity values craft... and material. Simplicity rejects excess. Simplicity invites reflection. Simplicity appears effortless. Simplicity is efficient. Simplicity lends small gestures... great importance. 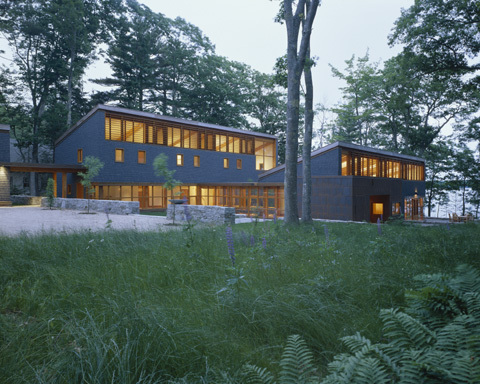 As a residential architect, I've had the privilege of working with some amazing clients. I'm truly fortunate to be able to work on such interesting projects for people who care deeply about architecture. The impact of the single-family residential work that I'm commissioned to do – the work that supports my family – is naturally limited in scale and scope. This year I'm committed to building something larger than 30X40 can do alone. To honor that commitment, I've chosen to give to Pencils of Promise, a non-profit that builds schools around the world. They offer a chance for all of us to expand the reach and impact we can have in the world. 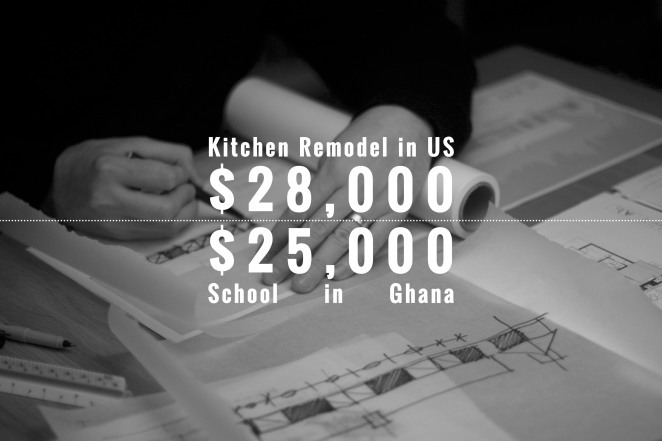 For less than the cost of a typical kitchen remodel in the United States today – which stands right around $28,000 – PoP can build a school in Ghana. That’s a school in one of the 75% of communities they visit that doesn’t have one. Imagine for a moment what your life might look like today without a school in your past. Every one of us can name a teacher who, at some point in our lives, made a difference, who inspired us, who pointed us in the right direction. Imagine your life without that teacher. Without school, my life today would be profoundly different. I'm just one architect building a small business, but I want to do something big. Something outside of the bounds of my private practice. With your help, I hope to fund the construction of a school in Ghana and give the gift of education to children who live very different lives than we do. These are children and communities that deserve the same educational opportunities we often take for granted here in the US. Pencils of Promise is an organization that takes action and builds things. The fundraising goal I’ve set is for $25,000 - the average cost to build a school in Ghana. I can't do this alone though, I'm just one guy with a small business. It's a big goal, but it has big consequences, I hope you'll be a part of making the world the better place, one school at a time. To that end, 30X40 Design Workshop will match every dollar of the first $2,500.00 contributed. Thanks for supporting my campaign and Pencils of Promise. I'm convinced I was born in the wrong part of the world. Have you ever had this feeling? I love my family, don't get me wrong, it's got nothing to do with them. My parents moved from my birthplace on central Long Island in New York a few hours north - upstate - to a small town baseball fans know well, Cooperstown. It was baseball that connected the economy to the outside world drawing thousands of tourists to see heroic players inducted into its hall each August. It was farm country and when it wasn't farm country, it was snow country. I never played baseball, and the smell of manure made me long for the trade winds of the tropics, and the searing heat of the desert, the salt air of Big Sur, and a lush, green Kyoto. Not coincidentally, all places more temperate than upstate New York and also places where it's possible to live somewhere between inside and outside. Not fully one or the other. Something I never had a chance to do. I'm fascinated by open air living as a human first and of course professionally as an architect. It certainly isn't a recent invention, but it's one that has been co-opted by modern architects as an instrument to connect people more fully to their surrounding environment. As a modern architect myself, now practicing in the northerly, marine climate of Maine, I can't help but drool over the imagery and apparent freedom of my colleagues practicing in more temperate climes. No need for screen doors, or tightly controlled waterproof building shells their architecture flows from inside to outside unobstructed. These structures define places for being, for living - without constraints or boundaries. But I know as an architect too, that even though we may have black flies and mosquitos and snow - which flies for more of the year than we'd like - we still have a need for transition spaces in our architecture. Open air living isn't completely possible but these transitions can afford the suggestion and on rare days even deliver on the promise. I would argue that transition space is the one space no work of architecture can exist without. No matter where we practice, architects follow similar rules about the need for transitions between enclosed (indoor) and unsheltered and open (outdoor) space. These buffer zones, where we move from one activity to the next are not only extremely useful, utility-driven spaces but they're integral to our comfort and our experience of a place. Imagine stepping into the the Pantheon's cavernous dome without the large sheltering portico transition. It's not the same. The Greek's and Roman's of antiquity understood this, their architecture is rife with colonnades, porticoes, the agora, the forum - each one had a preamble. Hardly superfluous, they're necessary and comforting architectural devices. A more contemporary example everyone is familiar with is the porch. Porches give us a place to kick off the mud from our boots, a place to sit outside while it rains or sheltered from the sun and reduce the apparent size of our two or three story homes to something more in tune with the size and shape of our bodies. We instinctively notice the absence of transition spaces too. Think of almost any tract house in suburbia built in the last 20 years. Are you picturing arriving to a garage door? I know I was. Suburbia has asked that we eliminate the transition space in favor of our car. Step out of your car an into the four walls of your home. Architects understand the need for transition spaces and leverage their utility. They provide a sense of scale, shelter, enclosure, protection, a sense of arrival and departure and because they lack the strict requirements of conditioned (or heated) space they can be more sculpturally free and expressive. 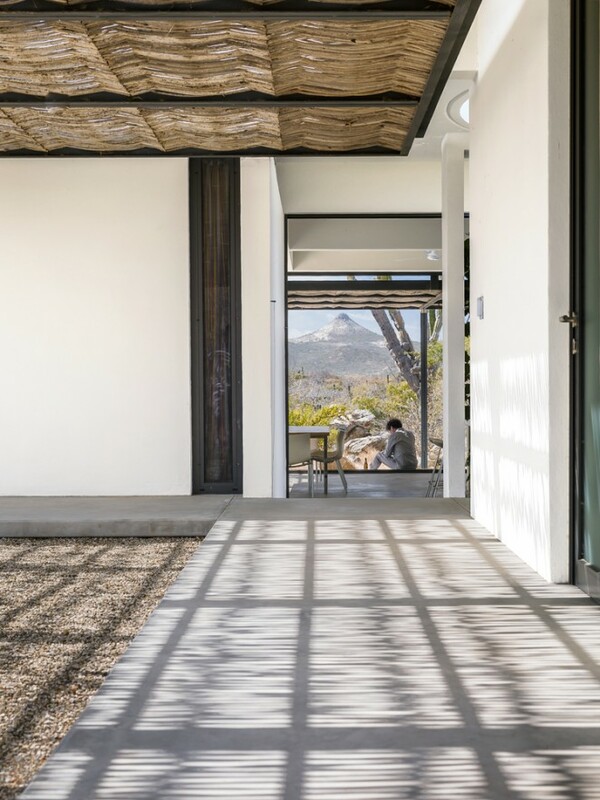 Modern architecture has surely sought to connect us to our place in a more direct way than its predecessors and transition spaces make this possible as evidenced by these seductive photos of a project in the desert southwest. Almost like nomadic tent structures, the architecture is reaching out to the land, buffering the extreme environment creating pools of shade around the home. This makes the interior environment more comfortable and it provides places to sit out of the intense sun for the inhabitants. Transition space is the one space you can't live without (there just might be one other one too). The changing of seasons marks the passage of time so plainly. The ever higher, warming sun melts snow during the day, refreezing it each night. Snowbanks retreat from the drive's end. Snow packed hiking trails give way to oozing ice floes. Footprints left in early storms reemerge. Frost-heaved roadways pitch us about on our travels. Roads are posted, "Heavy Loads Limited". The maples give up their sap. Gardens are being planned and seeds started. Nothing escapes the push and pull of this diurnal cycle as we inch closer to the days of summer. I love this awakening - the transition back to daylight. Spring also means that the ice huts that dot the hard-water around Mount Desert Island will soon be retreating. I've been watching this particular shack edge closer to shore each day over the past week. That's as sure a sign as any I know - spring is coming. I wasn't born in Maine, so I'm not technically a Mainer, but I've lived here long enough to know what to look for. Watching ice shacks retreat off the lakes is a reliable sign that warmth lies ahead. These shacks are ad-hoc architecture at its best. Most share the quintessential gabled shape of home, with the occasional, unintentionally modernist, plywood boxes. They're the kind of humble creations that inspires much of my own work here in Maine. Driven by economy and a desire to escape - trading one cabin's fever for another in a cold, dark climate. Supported on skis for transport, they always make use of a salvaged window or two to let in light and sometimes a small stove. I love the idea that a small town can emerge and exist for a few months each year, hovering over a space that remains empty for the other half of the year - a summer space. It has me thinking of making one. As a folly, an impermanent, portable, winter encampment. I'd love to make one entirely of ice, casting the walls as thick slabs and fabricate the roof as a wooden deck. In the spring it would slowly return to the water, the roof transforming into a swimming platform, the shack's door - a ladder and an anchor. I'll need some help...any volunteers? Today is one of those rare days here on the coast of Maine where summer bullies the usually refreshing maritime air into the 90’s. The wind has shifted to the southwest. The chickadees are mobbing and the mosquitos swarming. The cat can’t seem to get comfortable beneath his coat. My children head off to camp to whittle, sling arrows, and pond swim. I pass the woodpile and remind myself that I should be cutting and splitting my wood now for the winter which is never far. And keep walking. You know this feeling, or something similar, something familiar. You pause a moment from your busy life to observe and realize - this is summer. Or to think -the screen door slamming shut means warm nights. This is the definition of place for me, the emotional intersection of smells, sounds, temperature, everything surrounding you. When designing a home one of the critical components in the initial conceptual thought process is always to define place. Determine what it is that makes a place different and unique. Whether it's the forces that shaped the land, the geology, or the climate. What cues can you learn from the local architecture? How do people build and with what materials? Do the buildings sit lightly upon the land or are they rooted in the land? What are the natural site rhythms and weather patterns? If you’ve lived anywhere for a period of time you probably know these things intuitively - the things that comprise place. They can be very subjective and they should be - that's good. You may not even realize what a local expert you are. Where I live on Mount Desert Island, in Maine there are a myriad of things to that inform my thoughts about place. 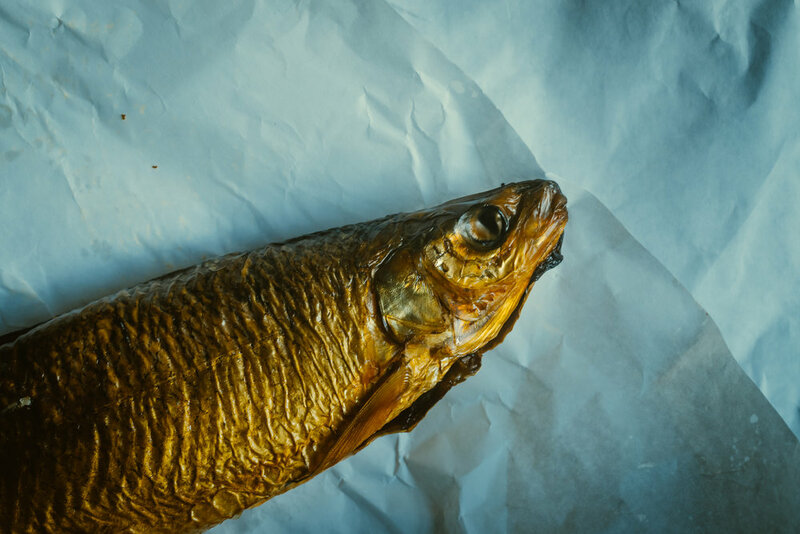 The rounded glacial till and sharp black spruce tips, the colored grids of stacked lobster traps on lawns in winter, weathered fishing shacks and barnacled piers. 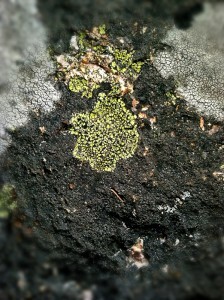 This is a damp place, almost everything is covered in moss and lichen - green drapes gray and always the silver sea. Prevailing winds from the water twist and sculpt the pine boughs. Local buildings are typically clad in one of two materials: cedar shingles or wood clapboards. Wood is abundant and inexpensive. Our native cedar is naturally decay and rot resistant and weathers to a silvery gray without finish or maintenance. The salt air corrodes and sticks to everything and the wind is ever present. Are you forming an image of what this place is like? For example, shaping your home’s roof in a way that allows light in while protecting against the winter winds and shedding snow does this in a very simple and meaningful way. Working with the local topography, in an around trees and geology does this. Using local materials and a color palette drawn from the local flora imbues your project with deeper meaning. Through these simple gestures, your home can tell the story of the place you’ve chosen to build. What’s more, I would argue that your home will actually function better. I'll close with an example of a home I designed as one possible way of approaching design with respect to place. The overall design concept for this home was one of integration. Integrate views to the water, views to the forest, integrate sunlight into the deepest rooms and integrate the sloping local topography. I created three shed roof forms, one for the garage and workshop, one for the bedrooms and private spaces (the two story volume) and one for the public living areas. 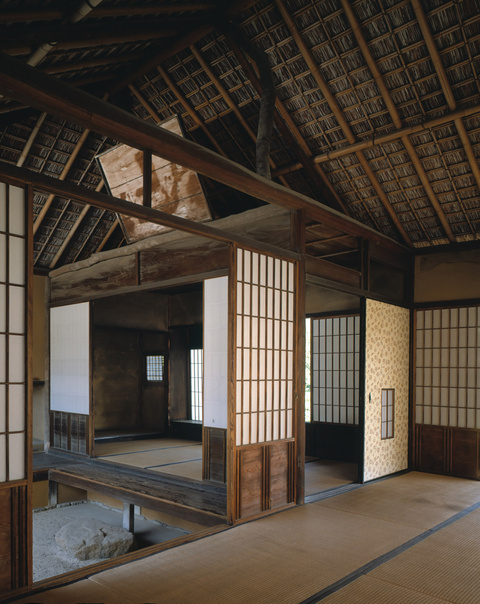 The shed roof forms were drawn from local shingled sheds used for storing fishing gear. While developing the shapes of the structures and their engagement with the land and each other, there were additional subtleties that informed the overall approach I took with the design concurrently. Probably the one most illustrative of place making was the selection of materials. Most people, save for architects and builders, have trouble interpreting a floor plan. Lines drawn on paper usually have little corollary to a typical person's experience of a home. This gulf between the real and imagined is because spaces are difficult to represent in two dimensions and floor plans often lack color or indication of real materials. Two houses with the same floor plan can be rendered quite differently by modifying only the materials used. So how can you infuse the meaning of place via material selection? Typically, I look to the site to conceive of an exterior and interior material palette. I find this substantially reinforces ties to a particular place and it's a simple shortcut you can utilize too. For this project, I started with simple image I had taken of a fallen cedar in a local pond. Note the contrasts I talked about above (here it's grays and browns) and the muted color range. This particular site had a number of oak trees present, which lined the forest floor with leaves - like tiny rust-toned scales. By simply applying an overlay of this image on the actual building forms I created a set of basic rules for the use of color and material. 1 - Exterior: tough, raw, textured. The bark of the tree. 2 - Interior: warm and inviting. The warm browns + heartwood of the tree. Bark peeled back to expose the warm interior. 3- Accents: smooth, scaly textured. These would link the warm interior with the rough exterior. The fallen oak leaves. 4- Changes in elevation: marked by stone walls extending out into the landscape, linking and mediating steps inside and out. The tough, bark-like exterior rendered in the textured stained shingles is peeled back and cut away to reveal the warm wood interior. The interior is comprised of two types of wood which again mimics the variety of coloration inside the photo of the log, not one brown, but many (not too many!). Copper shingles are abstracted oak leaves in color and form. The copper weaves its way throughout the house, but is used in very specific ways, to enclose the more solid parts of the house, on all flat roof volumes and it mediates the intersection of the house and earth (as flashing). The stone walls define changes in site elevation both inside and out and add another contrasting gray to the material palette. As you become aware of the thought process that led to the design outcome, the meaning behind it should reinforce a sense of this place and the home's connection to that place. Hopefully this information allows it to transcend any emotional response you have to the images (like or dislike) and the narrative should make it more alive. It certainly does for me and it makes the design process and selection of materials systematized and aligned with the greater design goals of the project. Even without knowing the backstory, I believe, the building feels innately a part of the site and right at home. More images of this project can be found in my portfolio. Hiking is an obsession for me, an integral part of my life. And, despite my best efforts to integrate it into my children's lives my pleas for Saturday afternoon family hikes are usually met with groans of protest. Someday perhaps they'll recognize the same deeper connection to the land that I've found so satisfying through hiking too. Living near Acadia National Park allows me access to challenging and uber-scenic hiking locations. If you've never visited Acadia, the bulk of the park is located just past the mid-coast area of Maine on Mount Desert Island. The island is a glacier worn grouping of granite domes perched at the edge of the Atlantic ocean. Here the raw granite meets the sea and is cloaked by spruce forest, fog and salty air. People carve out their lives here by understanding and exploiting these natural resources and the people who come to visit. Artists, fisherman, scientists, cooks, potters, boat builders, we're all here charting out our lives often against, but more often in concert with nature. Aside from the physical activity and mental awareness hiking brings me, one of the things I find most rewarding about hiking is a deeper understanding of the world around me. I'm fascinated with the intersection of man's machine and nature. These are often forces which drive my architectural work, integrating buildings into their surrounding context, marveling at their weathering with time. This metaphorical tug-of-war is present everywhere, including the trails of Acadia. If you've ever hiked above the treeline on a large mountain, you're familiar with cairns. Rock piles crafted by man to mark trails and pathways. They're necessary in locations subject to poor visibility and can mean the difference between a cold night spent on the mountain or a warm night off of it. If you hike a lot, like me, you may reach a point where they're like trees...they're a part of the landscape and you pay little attention to them. I can't count the times I've walked between these simple landmarks, thinking of them as nothing more than markers along a path, but so often relying on them to return me to less foggy elevations. While reading a favorite column of mine in the Bangor Daily News called, 1-Minute Hike, I was surprised to hear reference to these markers as Bates Cairns. Designed by Waldron Bates in the early 1900s as unique trail markers. Each cairn is comprised of two support posts and one lintel spanning the posts capped by a pointer rock paralleling the trail. It's precisely Laugier's primitive hut and I think it's simply genius. The open topography and granite precipices here can be visually flat in poor weather and fog. It's easy to lose your way, but the degree to which these constructions stand out is remarkable. The simple act of creating a shadow beneath the lintel helps identify these as path points. And, their geometry is distinct and separate from a standard conical cairn. Which, in this landscape, would only work to camouflage them among myriad other rock formations. Because of the efforts of Waldron Bates, I'm not only a thankful patron of all of the path making he accomplished during his lifetime but also a little more appreciative of his weather beaten constructs. This week marks the first full week of me bootstrapping my own, newly minted, design firm. The past seven days have been an emotional ride. Having to leave a place that provided me with many opportunities, fulfilling work, professional mentoring and some really good friends was a very difficult thing for me. Traveling new trails is difficult work but it's often the most rewarding. You're not sure of the destination, how long it will take to arrive, or if there's even a somewhere to go. Way finding has suddenly become a much more crucial activity for me and I'm searching in earnest for the next cairn.